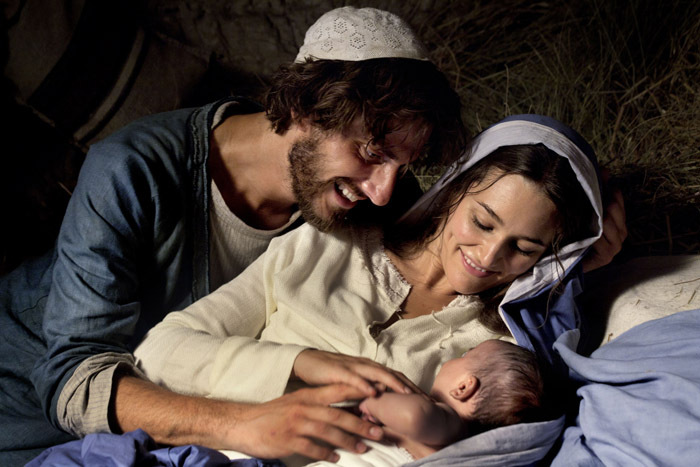 WASHINGTON (CNS) — Viewing the movie “Mary of Nazareth” at a parish or school screening will enable Catholics to have a greater and a more profound understanding of the mother of God, said Anthony Ryan, director of sales and marketing for Ignatius Press. The film, released in theaters last January, follows the life of Mary from her childhood through the Passion and Resurrection of her son. The story of the Gospels unfolds through her eyes. Now the film is available to U.S. parishes and schools to host their own screening through Ignatius Press, which owns the North American distribution rights to the film. Directed by Italian director Giacomo Campiotti, the movie has an international cast and was shot in Tunisia. It recently won the 2014 Gabriel Award for religious film of the year. According to Ryan, Ignatius Press has three goals by offering the film for local screenings: to help parishes and schools have an inspiring film event; to provide a tool for evangelization and faith formation; and to give parishes and schools a chance to raise funds for their needs. Those who see “Mary of Nazareth” will be “inspired to know and love her more deeply, and benefit more from the strength of her love and prayers for each of us” he added. It is fittingly dedicated “to all mothers, whose life-giving, sacrificial love, like Mary, changes the world,” he said. In the packages available for local screenings, Ignatius Press provides promotional materials. “They should use the posters, bulletin announcements and materials we provide to promote the film events to as wide a group as possible, both inside and outside the parish,” Ryan told CNS in an emailed response to questions about screenings. There is a basic licensing fee, and the cost for the license and packages with promotional materials and a set of DVDs of the film varies according to the size of package that is chosen. When the film first came out, Ryan said, more than 200,000 people saw it on the “big screen” during a seven-month run in theaters. “Those who attended these theatrical screenings across North America have been such positive and moving testimonies of how deeply this movie impacted them spiritually, as well as emotionally and intellectually,” he said. Schools and parishes interested in arranging a screening, should contact Diane Hanson of Ignatius by sending an email to her, dhanson@ignatius.com, or by calling (866) 431-1531 Ext.5 or (734) 455-1973. More information and downloads of an event planning guide and other materials are available at www.maryfilm.com.